Summary: Olivia Morten is perfect. Maybe she’s constantly hungry, but her body is to die for. Maybe her high-flying publicist job has taken over her life, but her clients are L.A.’s hottest celebrities. Maybe her husband is never around, but he is a drop-dead-gorgeous doctor. And maybe her past harbors an incredibly embarrassing secret, but no one remembers high school…right? Ever since I started working last month, my reviews have taken a back seat to well... life. I actually read THE F WORD by Liza Palmer quite a few months ago and unfortunately just never got around to reviewing it. The publisher even sent the cutest little gift pack including a special blend of The F Word tea, so I really did want to mention this book to you. Better late than never I guess! THE F WORD tells the story of Olivia Morten. From all outward appearances, she works hard to have it all. And she does -- a great job as Hollywood publicist, a killer body, and a husband who's a doctor. (Never mind that he's not around much!) However, Olivia has some baggage from her past that she just can't let go of. She used to be fat -- the real "F" word! When Olivia has a chance encounter with Ben Dunn, her one time crush... and also a guy who used to abuse her for being heavy, her insecurities come rushing back. Everything she's done to reinvent herself over the past few years starts to crumble... and Olivia has to reevaluate herself and what's important in her life! 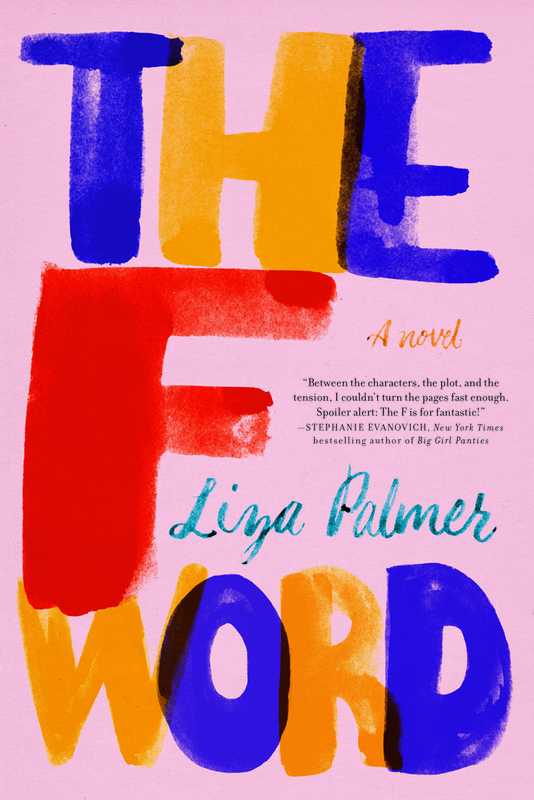 I really enjoyed THE F WORD -- it's Liza Palmer at her best. For those of you who have never read her novels, you really should especially if you enjoy women's fiction or smart chick lit. Ms. Palmer has a terrific ability to create memorable characters while also keeping things real. Plus, she incorporates loads of humor into her novels. I will never pass up on one of her books! This novel was such a fun read. Ms. Palmer knows how to write books about women... and especially those that have flaws. (And really, what woman doesn't have a few?) I love, love, love that her novels are so funny. I actually met Ms. Palmer a few years ago at a BEA party, and I'll tell you she's exactly what I expected. She's smart and funny (and even a little self-deprecating) -- just like her books. As entertaining as THE F WORD was, it was also extremely thought-provoking. On the surface, I really don't have much in common with the main character of Olivia; however, I found myself relating to her throughout this novel. The changes in her body might be more obvious that any I've ever experienced, but her thoughts and insecurities definitely ones that I've experienced on some level or another. Trust me when I tell you that THE F WORD is an extremely smart novel about women and the harsh realities of their self-worth. Based on the title -- once I told you what the F word meant! -- you probably deduced that this novel delves into body image. It's not an easy subject to talk about, but Ms. Palmer nailed it. Olivia is far from perfect, and if I'm being honest, she's not always likable especially when she shows her shallowness at the beginning of the book. However, I will say that the transformation of her character is extremely enlightening. And the honestly in the portrayal of Olivia really is entertaining. All in all, I highly recommend THE F WORD for fans of women's fiction. It will make you laugh and think... and what more can you really ask for in a book? I think we all have insecurities - some are just more obvious than others. This sounds like a book most people can relate to.